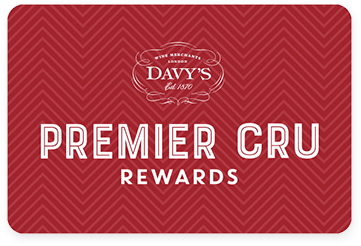 Premier Cru Rewards - Purchase this today and earn 115.5 points to redeem for free wine and gifts. Utmost care and attention are brought to both vineyards and cellar in order to produce refined wine with great intensity. Nice complexity with aromas of white fruits, citrus and hint of toast and honey. Slightly mineral on the palate with buttery texture well balanced with a refreshing acidity. This family owned estate was established in 1880 by Simon Bize who only had a few parcels of vine at the time. In the 1950s Simon Bize, the second generation, transforms the domaine and started to bottle his own wine. Later his son Patrick built a cuverie, expanded the barrel cellars, and bought new parcels. Today his wife Chisa alongside his sister Marielle are in charge of the estate. The quality of the wine produced has always been the focus of the family, meaning that the vineyards and wine receive the utmost care and attention. View our selection. The 22 hectares of vineyards are mainly located in Savigny les Beaunes but also includes a parcel in Corton Charlemagne, Aloxe Corton and Latriciere Chambertin. Whites spend 6 to 12 months on 20 to 30% new oak barrel and reds are aged for an avearge of 12 months in oak (rarely new). Most wines are under the Savigny-les-Beaunes AOC and includes some 1er Cru; Les Marconnets, Aux Guettes, Les Serpentières, Les Talmettes, Les Vergelesses and Les Fournaux. They also produce Aloxe Corton Le Suchot, Corton Charlemangne Grand Cru and Latricières Chambertin Grand Cru alongside some Bourgogne Blanc and red.